As someone who's obsessively colored and highlighted her hair since, er, elementary school (don't judge), I know a thing or two about the collateral damage the habit can incur on one's bank account. Over the years, I've spent anywhere between $50 and $700 on a head of blonde highlights. (Again, don't judge—I've lived all over, from Minnesota to Wisconsin to San Francisco to L.A.) I know from firsthand experience, in the context of hair, there's nothing worse than fabulous fresh color falling from grace real quick thanks to a botched shampoo job. Adding things like shower filters and clarifying elixirs to your routine can definitely lend a helping hand, but the specific shampoo formulas you use will ultimately make the difference between vibrant, long-lasting color post–salon visit and a job that quickly fades, becoming brassy and dull. Whether you're dyeing your own hair or spending hundreds of dollars at the salon, maintaining your desired shade is of utmost importance (at least to us! ), so in an effort to get the most bang for our buck, we're rounding up the 12 best shampoos for color-treated hair. Whether your hair is auburn or silver, these reliable formulas totally have your back. A top pick-me-up for dull silver, white, or even blonde hair, this shampoo is expertly designed with coconut extracts to not only brighten fading color but also soften and smooth thick and coarser textures specifically. Purple shampoos are often prescribed for silver or white hair, but what no one seems to tell you is that said potions can easily leave behind a dreary purple aftertaste that (while a bit high-fashion) isn't always the desired outcome. For pure, glossy strands that stay ssilver and white, we recommend this shampoo from the hair masters at Oribe. It's fortified with the brand's signature complex of watermelon, lychee, and edelweiss to combat oxidative stress, blue and silver pigments to stave off brassiness, and blends of hydrolyzed keratin and European silver fir to maintain strength and hydration. Yes, we realize this strand-transforming shampoo from Davines says Chocolate, but's it's created for deep, dark shades of brunette and raven-black strands alike. Davines is one of our all-time favorite hair brands and one we don't feel gets enough time in the limelight for how high-quality its products are. With pristine skill, this shampoo maintains and enhances the tone of color-treated hair. Featuring an all-star roster of color-maintaining benefactors like hydrating oils and botanicals, this earthy-scented shampoo works to heighten the cool, deep tones found in gorgeous black strands while simultaneously reducing the unwanted appearance of redness or brassiness. Though the brand also has variations of this shampoo to either lighten or deepen brunette strands (pick your poison), we love this affordable cult-favorite formula for its ability to keep brown shades intact and lustrous in between color appointments. This lightweight cleansing shampoo from DPHue deep-cleans color-treated brunette hair while utilizing strategic deep blue pigments to neutralize orange and red tones. Plus it's enriched with silk proteins and hibiscus flower to capitalize on health and shine. 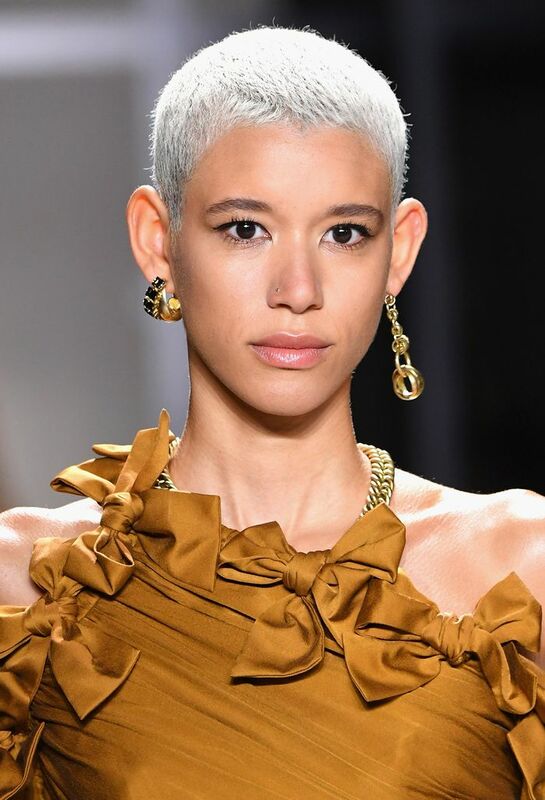 Due to the degree of lightness, blonde and silver hair are perhaps the most susceptible for unwanted color changes, and color that gets worse and worse between touch-ups is often inevitable. That said, I can personally attest that this blonde elixir from Joico actually betters my color every time I use it, and even though I have fine hair, thicker-haired reviewers on Ulta seem to agree. This shampoo for color-treated hair is sulfate-free and helps slough dirt, oil, and brass in one quick lather. Plus, thanks to the brand's blend of Polynesian and Tahitian tamanu and monoi oils, frizziness is kept at bay, and shine is heightened for full-on shimmer. Different from the brand's well-loved toning shampoo (which is bright purple and smells like a grape Popsicle), this daily formulation is meant to keep blonde hair blonde sans any intense toning. (There's a time and place for that—just not every day!) Rich, creamy, and hydrating, its formula maintains blonde luster in between toning sessions and prevents unwanted color-stripping or dulling. Technically, this color-preserving shampoo isn't just for redheads. But per our hours of redhead-minded shampoo research, this is one of the most beloved formulas for preserving the shade. It's sulfate-free to keep your strands and scalp healthy, and it also utilizes other exclusive ingredients like the brand's RCT protein complex to treat the root, core, and tip of the hair for optimal radiance. Strategically concentrated with color-locking oils to seal in red hair color, this shampoo from industry fave Pureology is one to add to your shopping list straight away. It enhances the hair's natural lipid barrier to prevent unwanted bleed and fade, and it also smells like heaven in a bottle thanks to bergamot, black currant, mandarin, rose, basil, and musk. Regardless of your chosen color (whether you're a bold shade of purple or Rainbow Brite–esque like Cardi B), this color-reflecting shampoo from Kérastase is here for you. It's an awesome choice for all hair types and is expertly equipped with nourishing things color-treated strands crave like yuzu and lychee to prevent mineralization (aka tinged color), rice bran oil for protective hydration, zinc gluconate to preserve pigment, and vitamin E and UV filters. To make any color look glossy, hydrated, and overall healthy AF, we rely on this luscious shampoo for color-treated hair from Shu Uemura. Despite the fact that it's free of sulfates (key for great color), you'll still get a satisfying lather, and its refining lipids smartly mirror the hair's natural protective barrier to help insulate your color from external troublemakers.